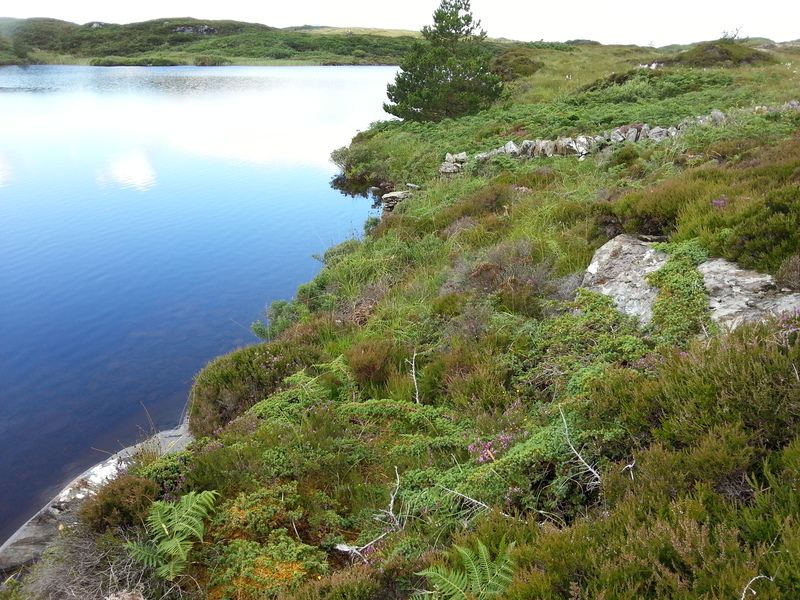 5130 Juniper formation at Dawros Head, Co. Donegal. Photo by Jim Martin. In Ireland a juniper formation is defined as a discrete area supporting 50 or more juniper plants where no plant is more than 20 m from another. In practice this means that, in addition to reaching the 50-plant threshold, juniper plants should achieve a minimum density of 25 plants per hectare to qualify as a formation. Juniper formations are mostly associated with lowland dry calcareous and neutral grassland, exposed calcareous rock, dry siliceous heath, exposed siliceous rock and dry calcareous heath; however, formations can also occur on coastal dunes and at higher altitudes. Both upland and lowland juniper formations in Ireland are dominated almost exclusively by prostrate or spreading forms of Juniperus communis. Juniper formations are listed on Annex I of the EU Habitats Directive and require regular monitoring under the terms of the Directive. BEC Consultants carried out a national juniper monitoring survey in 2017. Data from the 27 sites surveyed were used to evaluate the current national conservation status of the Annex I habitat Juniper formations in Ireland. O’Neill, F.H. & Martin, J.R. (2018) The Irish Juniper Monitoring Survey 2017: Appendices. Irish Wildlife Manuals, No. 101. National Parks and Wildlife Service, Department of Culture Heritage and the Gaeltacht, Ireland.